Jonathan is also a member of “The Thousand Top Real Estate Professionals,” a prestigious national award ranking sponsored by REAL Trends and advertised in The Wall Street Journal. He is ranked in the top one half of 1 percent of the more than 1.1 million Realtors® nationwide. Jonathan has 28 years of experience managing, marketing and negotiating the sale and purchase of fine properties and has participated in many record-setting transactions. 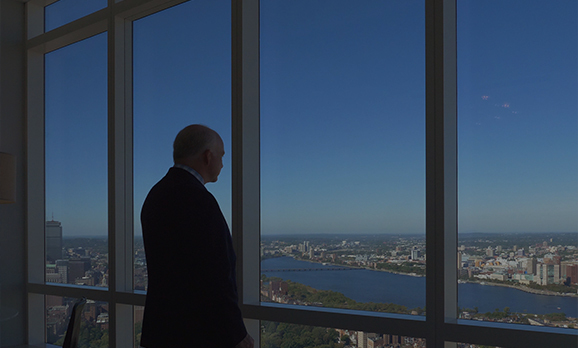 Jonathan represents private clients and family offices in Boston and across Massachusetts. He has established a loyal international client base that includes top business executives, professionals in the entertainment and sports industries, as well as European royalty. As well as being ranked the No. 1 Coldwell Banker sales professional in New England, Radford also holds the company’s record for the highest price sale of approximately $62 million.